Capture: Wellington? Well, I Would. Cool. 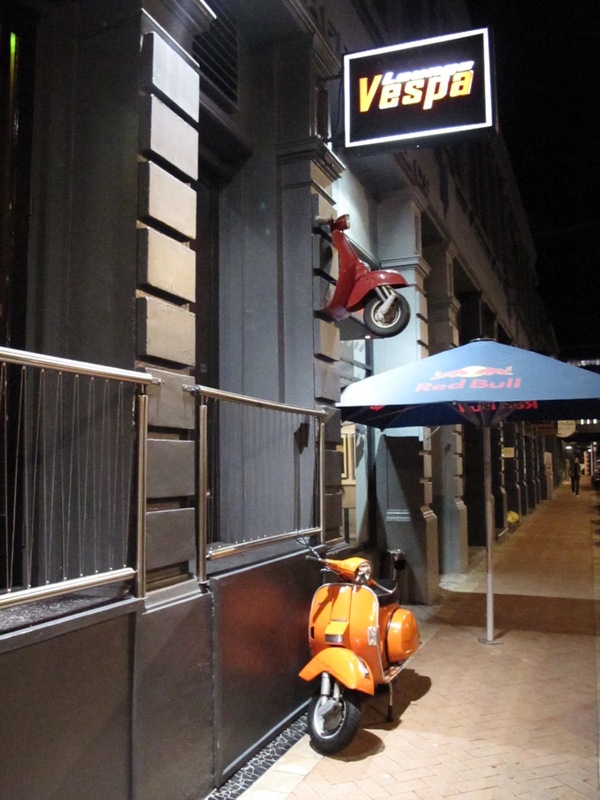 Got anything similar around Auckland? And the Seddon monument. Hm. I'm sure sometimes a tall column is just a tall column! Fantastic ChrisW. That totally lives up to the hype. You should see the stained-glass windows, Jack. I've got this as desktop now - should I pay/&/or/acknowledge someone? The inside is crazy: like the 1930s and not a soul around other than a lone tour-seller when I went a couple of years ago. You're welcome Islander, free to a good home and thanks for the acknowledgement already. The old trains have mostly been replaced since 2010 - Johnsonville line the most recent a few months ago. But the best time for the Wellington Railway station is during the Sevens rugby tournament as it is crowded with normally conservative and restrained Welingtonians and their friends dressed up (or not so dressed) in absolutely anything. Don't have any photos, just vivid images in my head. I guess the station was grimy and sooty and grey then, no longer glamorously new, not yet proudly old. But cleaned up on a bright blue-sky day with the flag flying in the wind, blue and gold Otago colours framing it left and right - I can appreciate it would be accentuating the positive rather than the funereal associations. John Chambers and Son 1989. 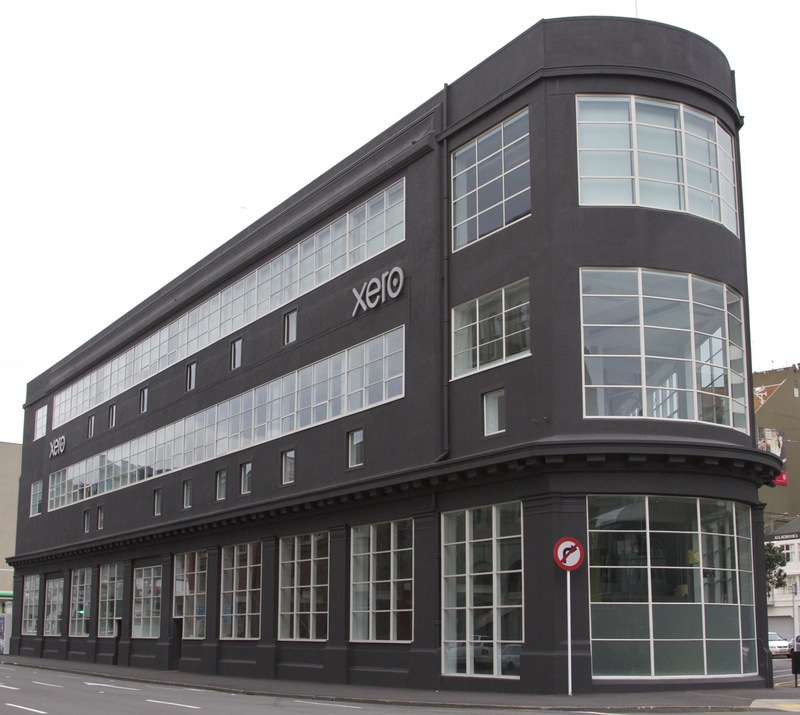 And again in 2012, now the Xero building. Not too long ago it was the Rialto Wellington cinema, and since then the Embassy & Paramount have since picked up the slack. Some apartment extensions next door are currently in the works. 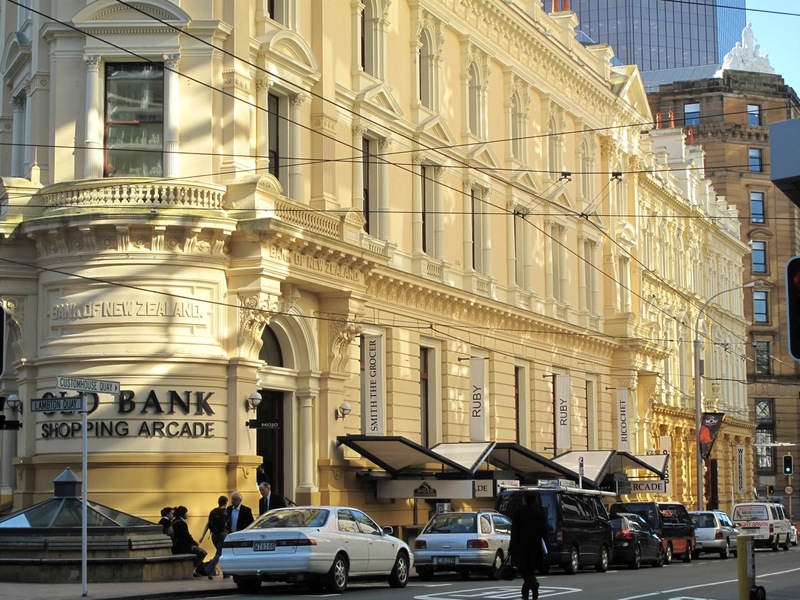 Not too long ago it was the Rialto Wellington cinema, and since then the Embassy & Paramount have since picked up the slack. 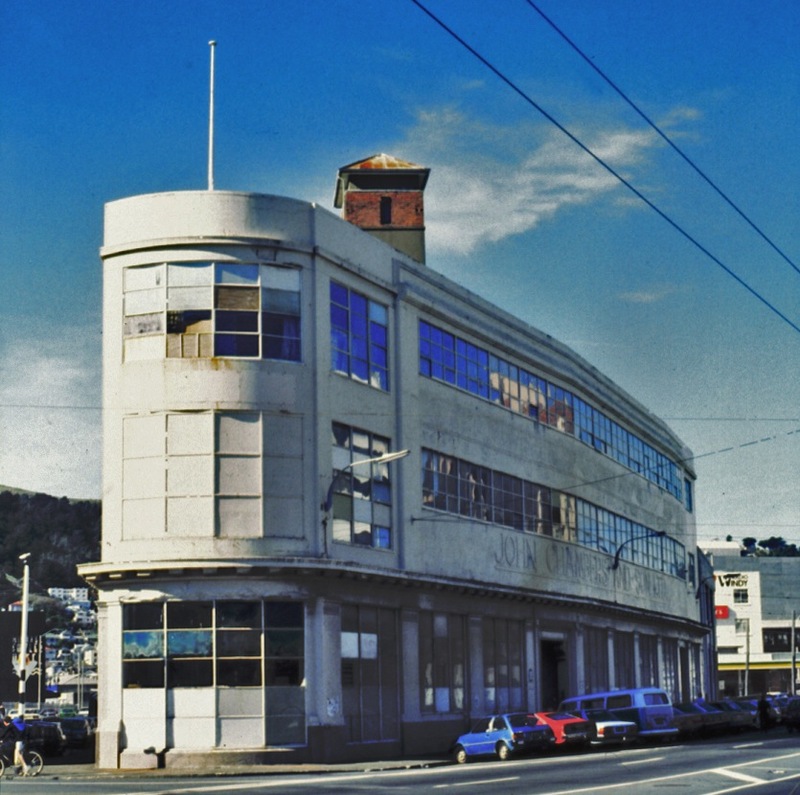 The Heritage page says; "The present occupant is the New Zealand Film Archive and Film Centre." I guess I should know, but where have they moved to? Looking at my photo archives, on this day in 2009, I was in Wellington. Who knew? Corner of Ghuznee and Taranaki, where they have films and a cafe and stuff..
Panoramas from top of volcanic cones might work. This from top of Mangere Mountain. Think I posted it before, but oh well. Thank you. My people will talk to your people.. Doesn't it look smart now? Glad to see an older building rescued.